One complaint I often hear from people about their rabbit’s litter box is that it smells. When I press further, I find out they are using newspapers to line the litter box. Unfortunately, sheets of newspaper just don’t absorb the strong smell of rabbit urine. Using a newspaper pellet litter like Yesterday’s News will solve the problem. Even though it’s made of newspaper, the compressed pellets somehow neutralize the odor much more effectively than sheets of newspaper. Note: When choosing a litter or bedding for your rabbit, you should not use clay-based litter or cedar shavings because they are detrimental to rabbits’ respiratory systems. Always use a non-dusty litter/bedding made from recycled paper. 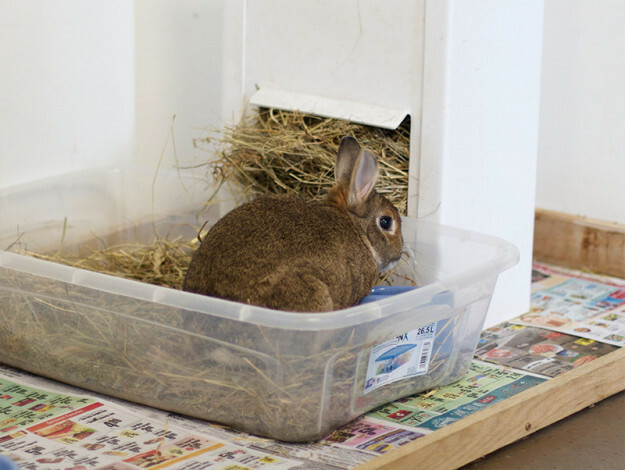 Learn more about litter training your rabbit at our article, Litter Training Your Pet Rabbit. Just put a very shallow layer of the litter in the litter box — enough so that the bottom is covered. 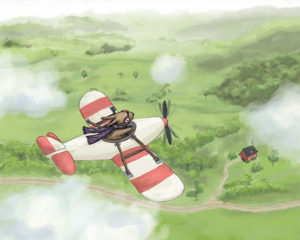 It does not have to be deep because rabbits do not bury their droppings like cats. Furthermore, you will be discarding ALL of the litter every time you clean it, so you want to use the least amount possible to make it last and save money. 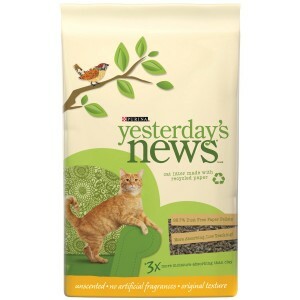 You can buy large bags of Yesterday’s News that are marketed for cats. You don’t have to get ones marketed for rabbits. Just be sure to buy the unscented version. Put hay on top of the thin layer of litter. Rabbits like to eat and poop at the same time. So this encourages them to use the litter box. Just be sure your rabbit has access to clean, fresh hay at all times.